With spring gardening season just around the corner, it’s time to start preparing what you want to grow – when, where, and how. 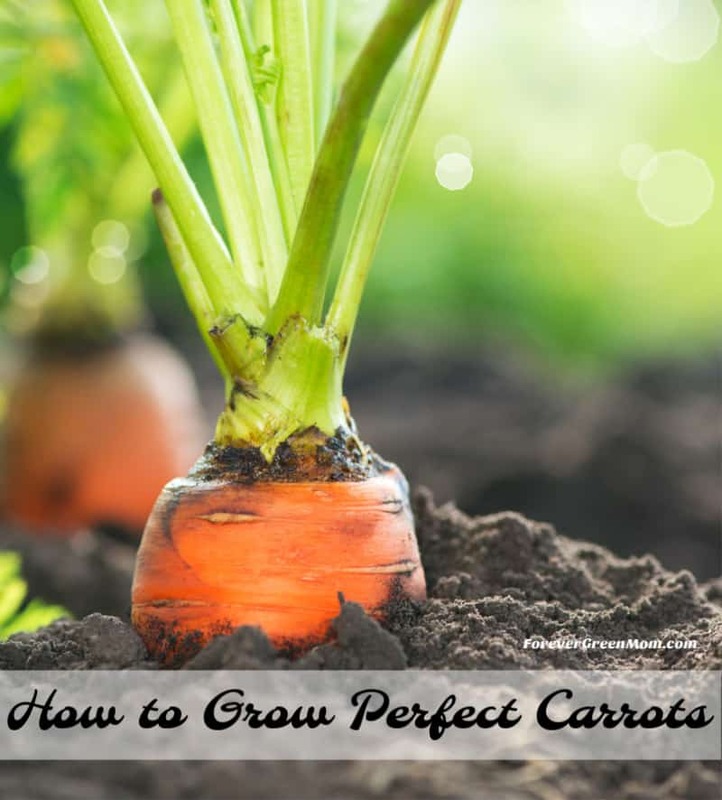 Today, I am talking about how to grow perfect carrots of your own. Ever tried to grow carrots and ended up with short stubby crooked roots that “kind of” resemble carrots? You are not alone. For most first-time carrot growers the first harvest can be a bit disappointing. There are a few things you can do to grow great carrots. First, let’s talk about when to grow carrots. Carrots have two growing seasons – spring and fall. In the spring, you’ll want to sow carrot seeds in fertile, well-worked soil about two weeks before your last frost date. For fall harvesting, begin planting seeds 10 to 12 weeks before your average first fall frost. Start with deciding where to grow your carrots. Many people think to sow them directly into the ground, but in the end, this is the most common downfall of carrots. The soil in our land is full of things that can stunt your carrots growth or lead to very odd shaped carrots — instead, plant in a large pot or a raised garden bed. The soil you use to plant your carrots in is vital. Sift through the dirt and remove any large chunks of organic matter, tricks, and any trash that may have ended up in your gardening soil. By doing this will ensure there is nothing left to force your carrot roots to change direction leaving you with an extensive collection of no good carrots. Carrots thrive in well-drained sandy or loamy soil. These types of soil give carrots the ability to dig into the ground allowing them to grow deeper. If you are using a thicker soil, try mixing in peat moss to make it more carrot friendly. Avoid using fertilizers or compost on your carrots. For most plants, you would happily add these to your soil before planting. For carrots, this can lead to significant issues. You want your carrots to have one main root that is relatively clean of other roots. If you add plenty of nutrition to the soil, your carrots will grow extra roots on the side leaving you with a very unattractive carrot. There are carrot-friendly vegetables to grow next to or near to, but there are other vegetables that are not. So, if you are looking to make the most use of your space, plant your carrots with several other plants including beans, peppers, and chives. But avoid planting with potatoes and other root vegetables. Now it’s time to PIN IT. Pin the below photo to your garden Pinterest board – gardening season is here!! Well, because you are here seeking how to grow carrots, it’s only wise to give you some carrot soup recipes from my friends for you to make with all your perfect carrots!! 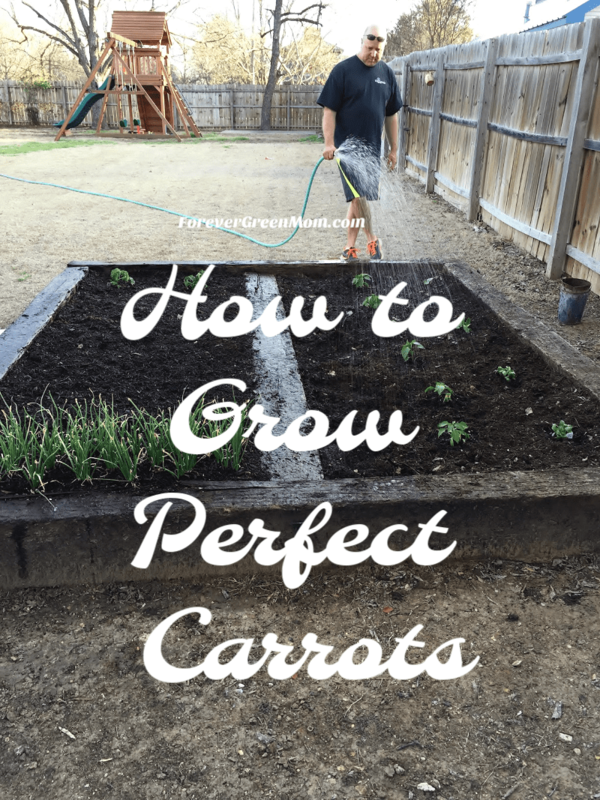 Still not sure how to grow perfect carrots? Try reading up on your type of soil in your area. Where we live in Texas, our soil is clay-based and not so good for certain types of planting. So be sure to know your soil before planting anything. Happy Gardening. These are some really great tips about the soil. I have never tried to grow carrots before. That’s interesting about clay soil. My dad was the gardener in our family. It was such a treat as kid to go out in the yard. I remember getting hungry outside playing and going to the garden picking my carrot and hosing it off with the hose. I tried to grow carrots once and it wasn’t good. I definitely needed these soil tips. I’ve got to try this. I’m not really good with plants but I want to somehow try and grow fruits or veggies too. I had some carrots in a garden years ago. They were really tasty, but we always picked them when they were tiny because we were too excited to wait. I hadn’t thought of planting them in pots. I remember having a garden of carrots back in my elementary days. But I totally forgot the tips and tricks in taking care of it. Great post! Growing carrots seems to be a lot of fun. And also it’s so healthy to have your own carrots in the garden! I have never grown carrots before. They don’t look too hard!! I have never had luck with any garden but I want one sooooo bad! I love fresh veggies from a garden. Carrots being one of my favs. Maybe I need to try again! Great tips. My carrots never dig down. I end up with short stubby carrots. I’ve grown a variety of vegetables over the years, but I have never tried growing carrots. Thanks to your tips, I may be able to do so. I eat carrots 2 to 3 times a week. I have the room to grow some, so I’m going to do it. Thank you for your tips, you’ve inspired me to get outside tomorrow and fix a spot to grow perfect carrots. I really enjoyed this post. Your tips are really helpful. I would love to add carrots to my garden this year. Can I hire you to come do my garden? I kill everything I touch lol! I would love to have fresh carrots I love carrots! I might have to try this out. I’ve never been good at growing stuff, but maybe I could do this. We do enjoy our carrots.